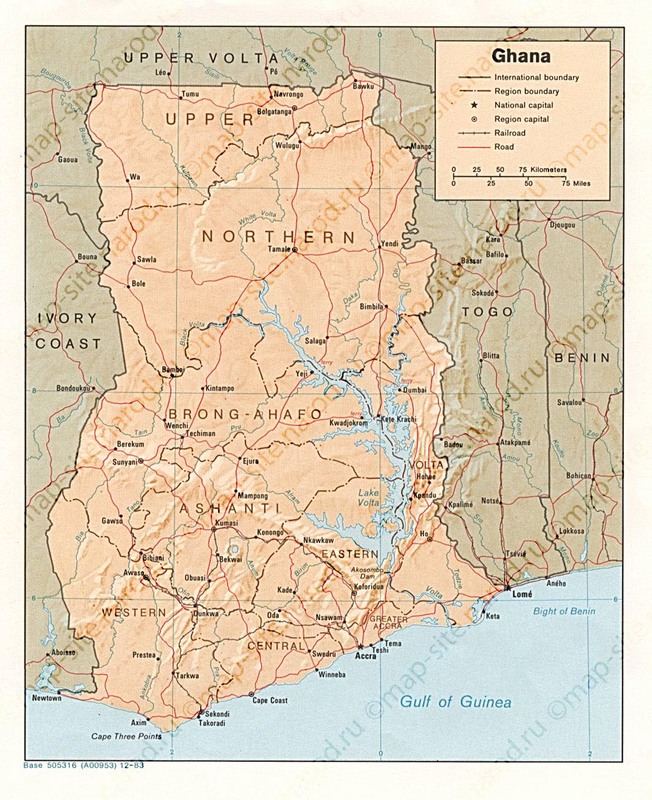 Map Ghana in English. Big cities, реки. Roads and railways. 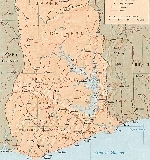 Borders, names and administrative centers of regions.